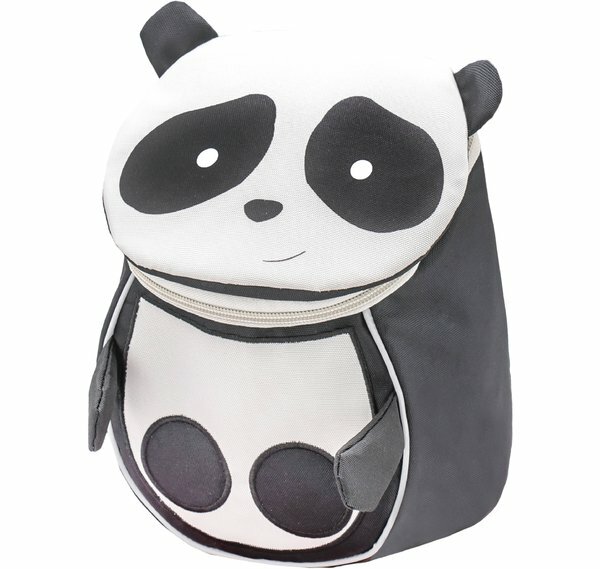 "Mini Animal" is animal shaped mini backpack designed specifically for children aged 1-3 in everyday activities, outdoor and travel. Made of light yet strong materials with waterproof coating and weighs only about 210 g. The bag is machine washable and comes with a name tag on the back panel. The back panel is designed with added soft foam for comfortable wear. The padded shoulder straps are easily adjustable so they fit neatly on preschoolers' back. Plus, it comes with a chest strap for optimal load distribution which can be adjusted for perfect fit. Chest straps are important at this age because they prevent the backpack from sliding off children's shoulders. It has a large compartment providing ample space for cuddly toys, little blanket or clothes. Made with zippers which is super easy to open and close fitting for small children's hands and fingers. Reflective elements placed on front and back increase visibility. It features a handle long enough in size thus parents can comfortably carry it.